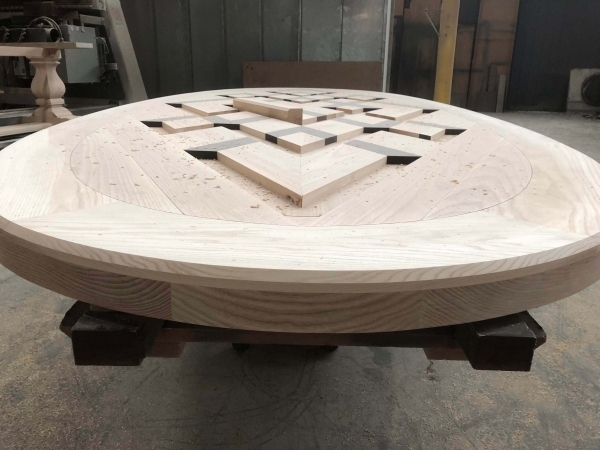 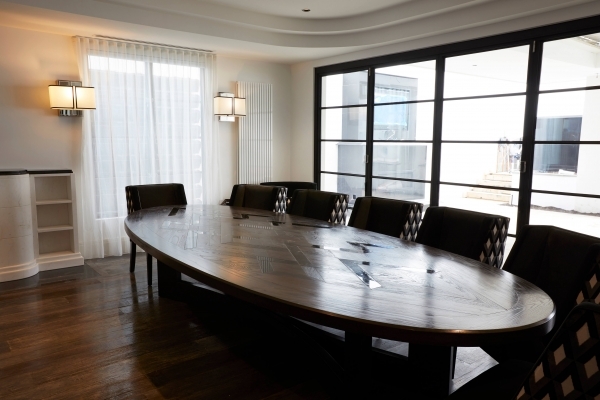 Certainly a one of a kind 4 meter oval parquetry table! 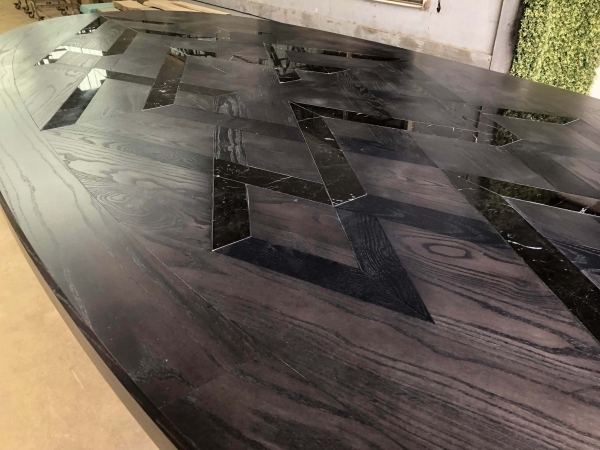 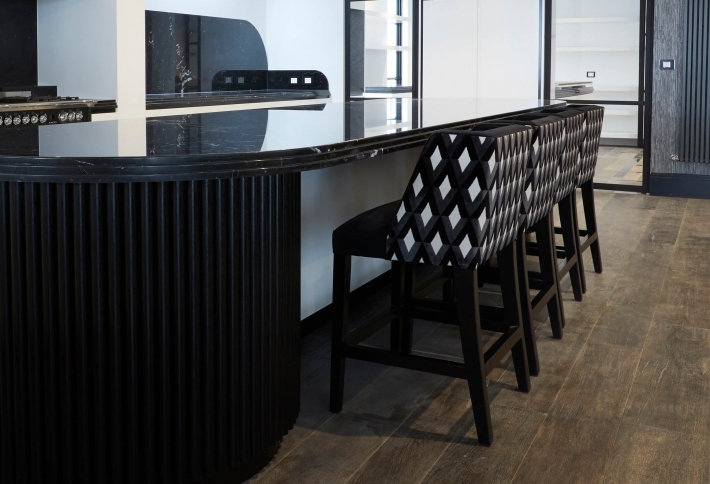 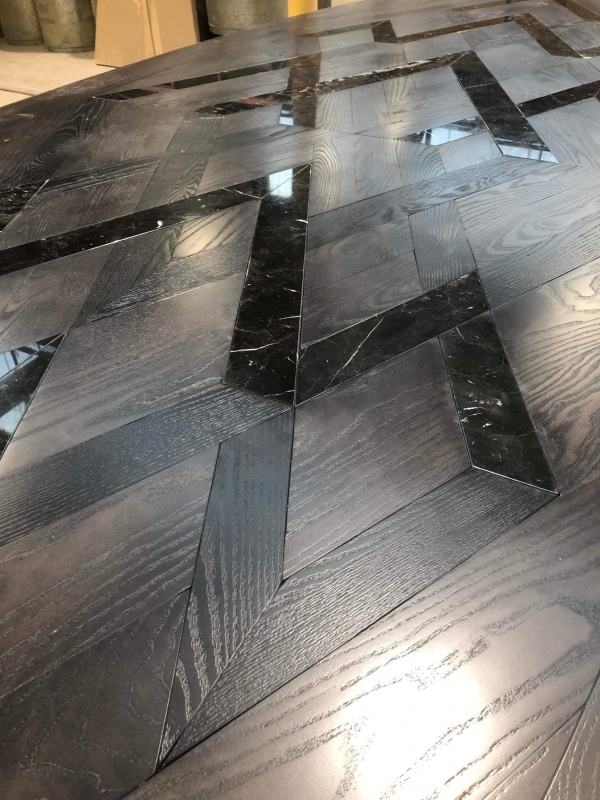 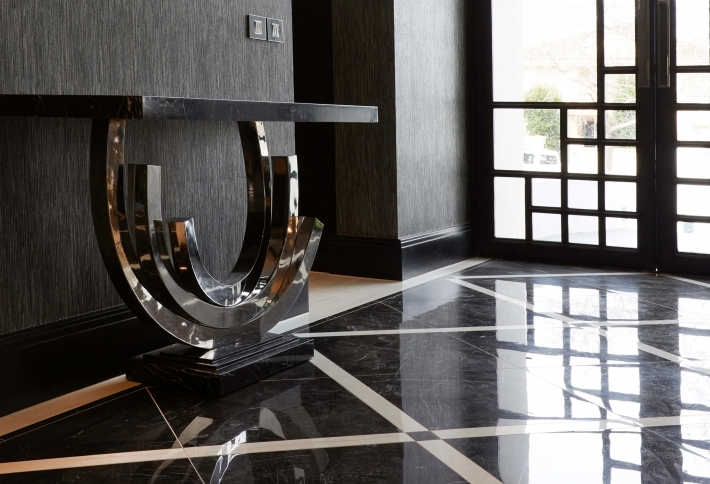 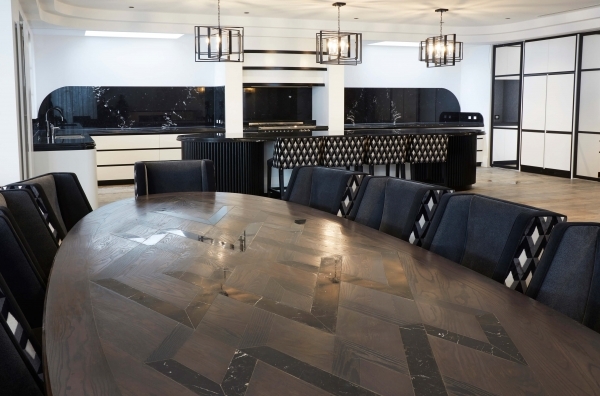 Table features a unique diamond parquetry design in a mixture of solid Oak timber with Marble highlights. 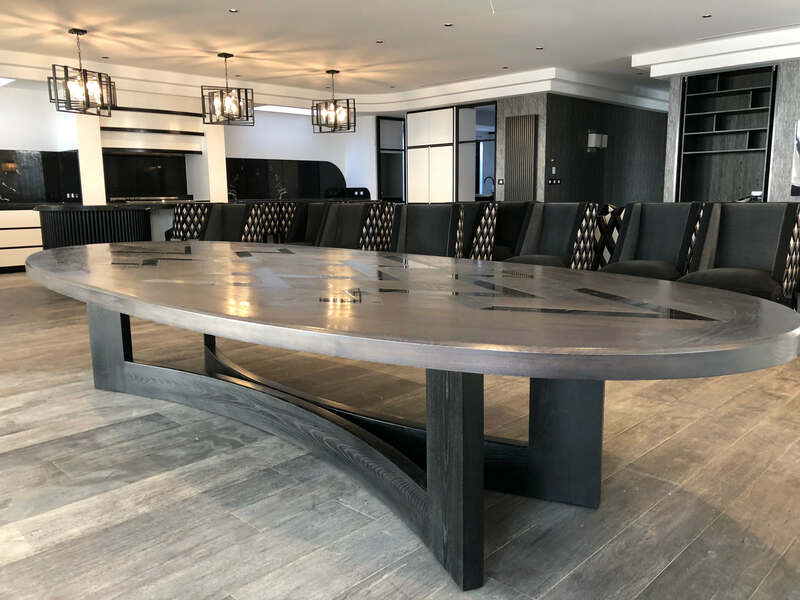 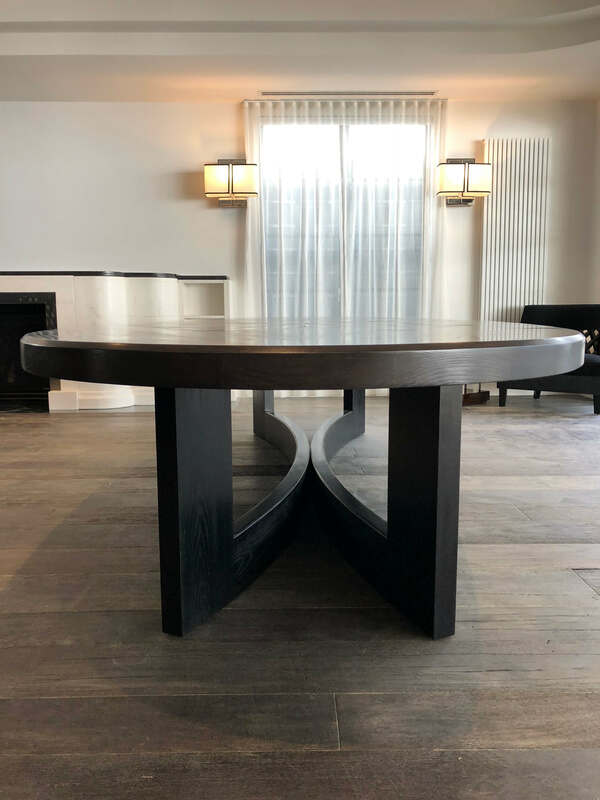 Table shown with custom designed curved timber base.